ALBERTA, Canada – Silvertip Golf Resort, Stewart Creek Golf and Country Club, the Fairmont Banff Springs and the Fairmont Jasper Park Lodge are among the most popular golf destinations in Alberta because of a variety of scenic, challenging and unique holes found at each of these golf courses. Meanwhile, there are plenty of great restaurants to sample after playing a round on one of the top courses in the province – the dining options at the Canmore Golf and Curling Club and Kananaskis Country are some of the best in western Canada. Golf the Rockies offers a look at our favorite golf courses, restaurants and watering holes in Alberta. These locations take advantage of spectacular views and local flavors, so be sure to check out our top destinations before booking any golf packages to Alberta, Canada. Best Hole: Kananaskis Country’s fourth hole on its Mt. Kidd Course is a spectacular highlight of this golf course, known as an Olympic playground and G8 Summit site. The 197-yard par 3 is intimidating with water guarding the front of the green. But the most photographed hole on the course has a generous green that makes it fun and fair to play. Best Food: The Mt. Allan Burger is served throughout the season at the Summit Restaurant’s patios, where the glorious, adjacent peaks offer great views. This towering Angus burger comes topped with Canadian Cheddar. And grab a Big Rock beer to wash down your meal. Best Hole: Silvertip’s 18th hole is as memorable as it is scenic. From and elevated tee, the 460-yard par 4 drops downward through the middle part of the hole. The approach shot must be negotiated from a downhill lie to a green that sits part way up a hill which rests beneath the gorgeous clubhouse and outdoor patio. Best Bite: Not to be outdone, Silvertip Resort’s patio cooks up great food. Stoney’s outdoor patio serves breakfast outdoors in summer, but fire-eaters will love the challenge of their Six-Chili spicy hot wings. Also, try the jalapeno shrimp tacos and a spicy red Zinfandel pairs well with any plate. Best Hole: The par-3 fourth hole, known as Devil’s Cauldron, is without a doubt the best hole at this great golf course in Alberta. The glacial pond between tee and green casts a web so captivating, you’ll forget to aim your ball beyond it. Historic photos show this hole hasn’t changed since Stanley Thompson designed it. ‘This is beauty. Elevated par 3 with a full carry over water to a green surrounded by trees creating an ampitheatre target area, said Jim Crespo, Alberta golf expert. “Usually a least one club less is a good choice, however if you go long, your ball may role down from above to the green. Best Drink: The Fairmont Banff Springs‘ classic cocktails are the best mixed drinks in Alberta. While there is a variety to choose from it comes down to the local favorite – The Bloody Caesar. This cocktail was founded in Alberta and has long been a favorite of patrons of the Rundle Lounge and the Clubhouse alike. Best Hole: Like its sister resort at The Fairmont Banff Springs, it’s difficult to choose one Stanley Thompson hole to single out, but making the turn never looked better. The combination of the par-4 8th hole and par-3 9th both offer stunning views and challenging layouts. Best Food: You won’t see bison anywhere but on the menu of the rustic lodge. We recommend the Emerald Patio after a round, where you can try the Carmen Creek Bison Burger, which comes with a broxburn tomato relish and wild mushroom duxelle. The bison burger goes down nicely with the The Fairmont Jasper Park Lodge’s own craft beer – the Cleopatra, named after its par-3 9th hole. Best Hole: The No. 2 handicap hole, the par-4 16th warns you to be wary of water flanking the green. The dogleg-right routing is as pretty as it is laced with potential for a big score. Make sure your second shot finds the fairway, then let the fun begin. “I have to think the 16th at Canmore is the start of best 3 finishing holes in the Canadian Rockies. From the gold tees you are playing a 440 yard beast. The fairway is treelined with lateral hazard stakes all along the right side. About 140 yards out from the green, the trees give way to a water hazard that stretches along the entire right side to a kidney shaped green,” said Ken Blackmore, Alberta golf expert. “The left side of the fairway from a 100 yards in is also lateral. If you find yourself staring at a blue flag and you’re on the wrong side of 150, play to the center of the green. Best Food: Our pick for the best food in the region is the Canmore Golf and Curling Club’s patio menu. Locals rave about the rice bowls and yam fries, the club’s latest menu addition is sure to please all foodies; the hearty beef brisket. Big Rock from the local brewery is a good beer choice, but this dish goes especially well with the club’s Big Rock Lime in the heat of the summer. Best Hole: The 10th hole at Stewart Creek is a challenging valley hole with an enormous fairway and stunning mountain views. But golfers remember it most by the old mining cart that sits adjacent to the tee box, reminding of the region’s storied past. Best Food: Grilled local salmon over grilled greens is a fine meal on the patio overlooking the stunning ninth and 18th holes of Stewart Creek. The chef loves big plates, so you won’t go hungry with this seemingly lighter fare. 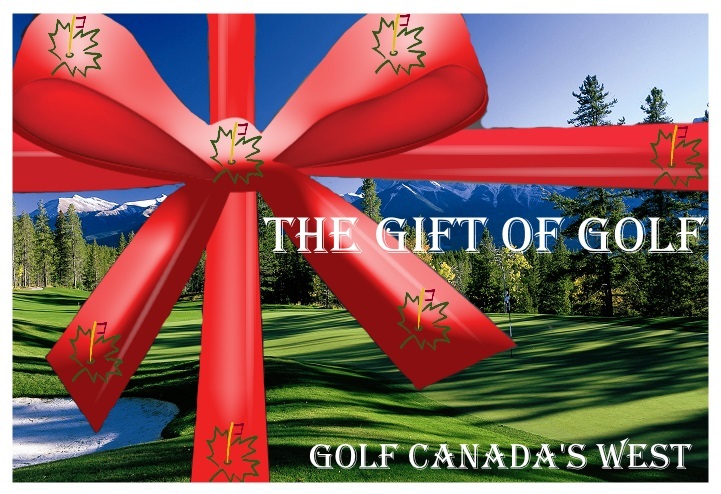 For more information on booking your summer golf trip to the Canadian Rockies, please see Golf Canada’s West. To view the stunning topography, vacation options and learn more about the area visit the Golf Canada’s West website where visitors can browse stay-and-play packages or request custom quotes for trips and packages, or they may call 877.323.3633 for more information.